KYOS has been a valued partner for Griffin as we have built out our structured broking business in the European gas and power markets. After our market research we drew up a shortlist and met with KYOS and several other software vendors. We decided to choose KYOS based on recommendations from structured traders and the professionalism the team showed when explaining their products. As a user of KySim, KyCurve, KySwing and KyStore, I would strongly recommend these packages to anyone that requires to quickly and accurately value swing and storage contracts. A particular strength is the web interface that KYOS delivers its software through: this allows you to automate a great deal of work which can be critical when negotiating a trade over several weeks. Moreover, KYOS’ close relationships with traders and brokers gives them a thorough understanding of the market, and an edge to react quickly to the latest changes. The above being said, the best feature of the KYOS software suite is the support. Cyriel and his team have been fantastic when it comes to helping answer questions or providing guidance on the assumptions behind the pricing models. As such, we look forward to continue working with KYOS over the coming years. Griffin operates a hybrid electronic/voice OTC trading platform for the European energy markets of gas, power and coal including options. 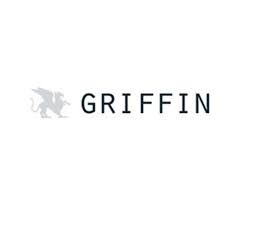 Committed to providing low cost and high integrity execution services, Griffin was founded by a group of leading European energy professionals whose vision is to increase choice and competition to the market and use technology to improve the trading experience. Griffin offers a broad range of services from hybrid execution through to voice execution in cross commodity options to real time market data feeds.